Ignoring worn Struts can effect you and your vehicle in lots of ways! 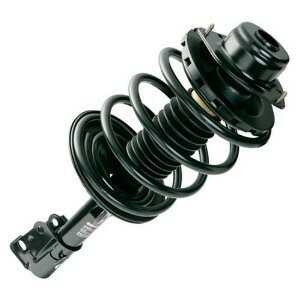 Struts are one of the most ignored maintenance items on a vehicle. They are often overlooked and often thought to be a lifetime part for the vehicle. These warning signs can lead to complete strut failure and cause you to loose control of your vehicle completely. The useful life of your struts is approximately 50,000 miles. If your vehicle has passed that mileage it is a great idea to consider replacement. We can perform a free inspection of your steering and suspension here a Scottys. Just call for an appointment today! Don’t forget Strut replacement always requires your vehicle gets an alignment after the parts are replaced. Drive Straight and Drive Safe!